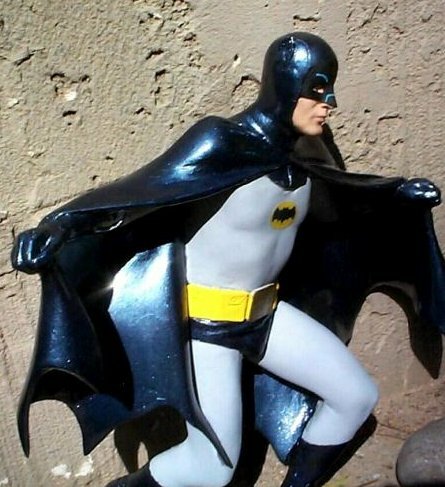 This is a fully built and painted 60's TV style Batman resin figure model. 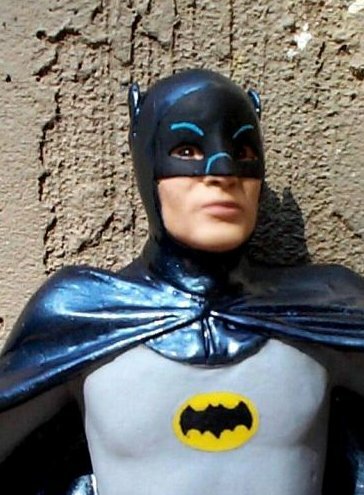 Batman stands approximately 12 inches tall. 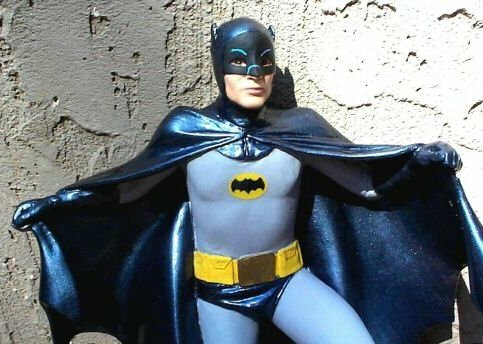 I believe it is called 1/6 scale? 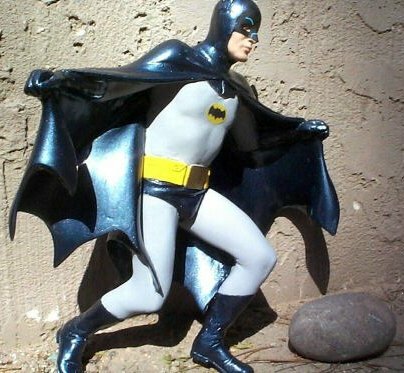 He has a very good likeness to Adam West. 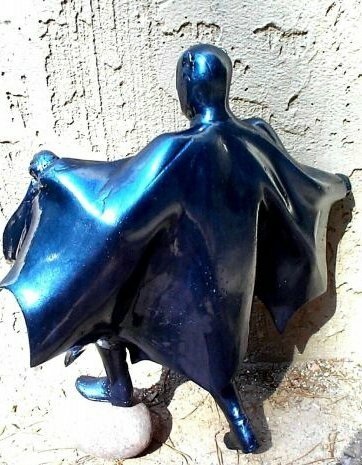 There are no manufacture's markings on him and there is no box or instructions, so I do not know when or where he was made? This was probably a fan-made kit, and very limited in production?